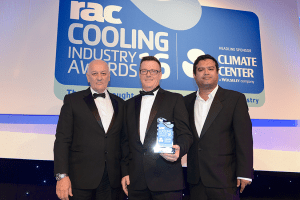 The industry’s largest and most respected awards event, the RAC Cooling Industry Awards took place on the 28th September 2016, at the prestigious London, Hilton, Park Lane. It is an established event in the industry calendar and an important opportunity to meet some of the most relevant companies and individuals. 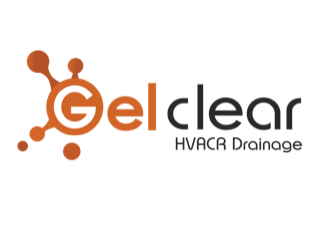 Now in its twelfth year, the RAC Cooling Industry Awards champion the innovations and environmental successes in the refrigeration and air conditioning industry. An event in which some of the most knowledgeable and influential individuals in the industry come together for a night of recognition and celebration of the sectors achievements. With fourteen carefully chosen, specifically targeted categories and well as the coveted RAC Gold Award, the event recognises every area of the refrigeration and cooling industry. All areas of the industry are considered, with categories from National Student of the Year, Heat Pump Technology of the Year, through to Retail Initiative of the Year. As ever the ceremony was a momentous occasion, hosted this year by Paul Shina. The guests were given the opportunity to partake in a charity casino and enjoy their surroundings to the sounds of a live band. 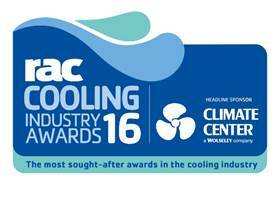 Making the shortlist for an RAC Cooling Industry Award, let alone winning, is an achievement to be proud of. Thank you to the expert judging panel, who put much thought and consideration in to deciding the eventual winners of each category. The awards show a strong commitment to rigorous judging, allowing entrants to deliver the strengths of their entry directly to the judging panel and engage in dynamic discussion.